Dec. 11, 2013 | Welcome to Little Gull Marina! As you can see, winter has arrived here in the North Country. 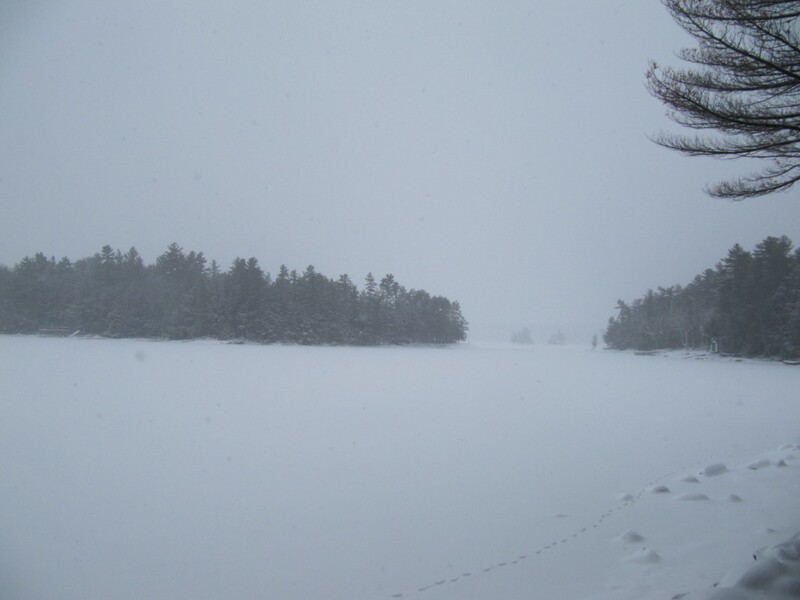 The lakes are not frozen yet but some bays have iced over and the snow sure is staying. Areas around Haliburton got 35cm+ of snow today alone! We currently have about 6″ of fluffy snow on the ground. We hope that it will stay and be a white Christmas! Battling high winds, blowing snow and icy boat launches, we pulled the last boat from Gold lake tonight. On to snowmobiles we go…Give Sally a call or email to make arrangements to get your winter toys out and ready for whenever conditions allow for their use. If there is anything that you would like done to put a gift under the tree for family or friends, give us a call or email. We can do tools, winter or summer toys and even a gift card for your favourite loved one. 14 days until the big guy in the red suit shows up. Hope everyone is enjoying the season and having a safe and happy winter so far!